Just what’s in a badge? Well, there is metal, precious perhaps or just plain old tin. But if that badge is ever worn, it suddenly comes with a great deal of history and a whole lot of pride and experience. This story is about a gold badge and the three men that wore it during their careers. I say three but in fact there could be others in between them that have yet to be accounted for. 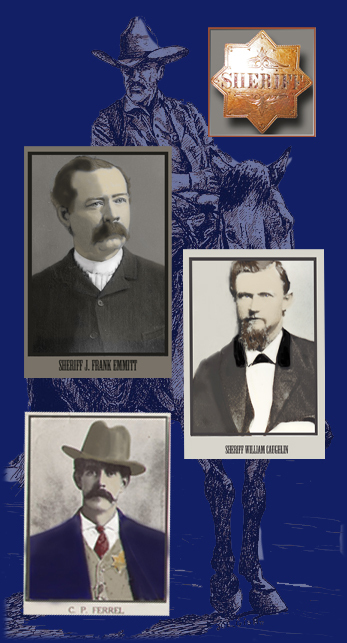 Each of these men served as Sheriff of Washoe County, Nevada, where the City of Reno is located and most notable. Each of them distinguished themselves using their careers ands those stories will be found here. The first man documented to having worn this beautiful gold badge was J. Frank Emmitt, elected as sheriff in 1888. It is believed that this solid gold badge was made specifically for Emmitt but the proof remains to be found. The badge is somewhat unusual in that it is generic, with SHERIFF engraved onto it and that is it. Nonetheless, it is beautiful and is thought to have been created from Nevada gold. Sheriff Emmitt completed his terms as sheriff and went on to serve as United States Marshal for the District of Nevada. 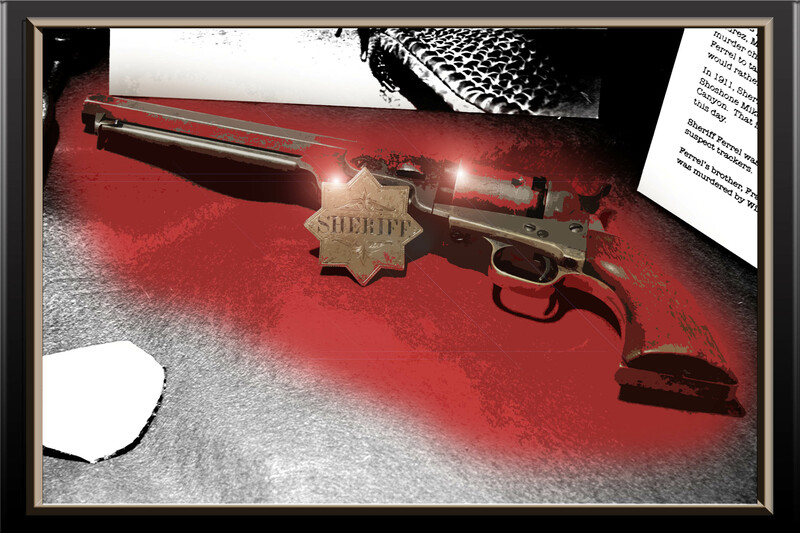 As such, he appointed famed gunfighter and lawman Wyatt Earp as his deputy marshal to serve in Tonopah, Nye County, Nevada. William Caughlin was elected in 1891 and served as sheriff until 1896. During his tenure, the last public hanging took place in downtown Reno after he man was busted out of Sherif Caughlin’s jail by a vigilante crowd with bags over their heads. Hey took he man, Louis Oirtiz, and hung him from the Virginia Street steel bridge until until he was dead. Ortiz had shot and wounded a local officer which lead up to his death by a rope. The Colt Navy shown belonged to Caughlin but the thought is that it may have belonged to Emmitt due to the age of the weapon. It may have just been passed down through the years. 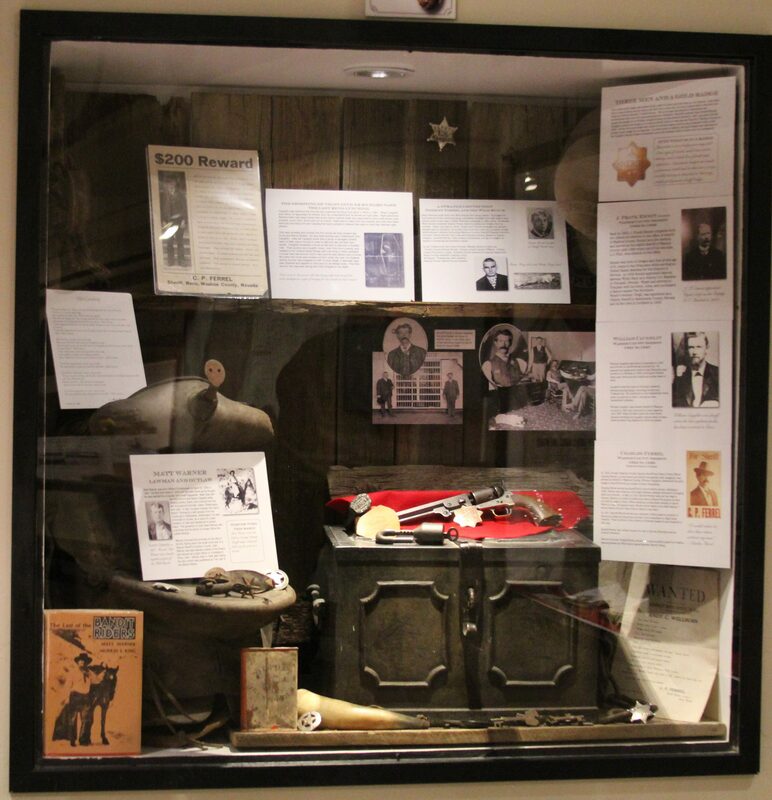 Then in 1904, former Washoe County Deputy Sheriff and Reno Police Officer Charles Ferrell, a close friend and fellow blacksmith with Caughlin, was elected as Sheriff of Washoe County. William Caughlin then presented this gold badge to Sheriff Ferrell as a token of their friendship. Newspaper articles confirm that this gold badge had been originally created from a twenty-dollar gold piece, was worn by John F. Emmitt while sheriff, also William Caughlin, and then Charles Ferrel. Then in 1911, Ferrel lead the charge to pursue a band of native Americans on the change that they murdered four ranchers in High Rock Canyon. The group of lawmen engaged in a battle in Northern Elko County and in the end, only two long children survived.